Dr. Lee is a fellowship trained orthopedic surgeon specializing in the care of disorders of the hand and upper extremity. Dr. Lee grew up in Baton Rouge, Louisiana. From there he moved on to California where he attended Stanford University as an undergraduate. After earning his B.S., he stayed at Stanford to continue his medical education at the Stanford University School of Medicine where he earned his M.D. Dr. Lee then transplanted to the East coast where he completed his orthopedic surgery residency at Brown University in Providence, Rhode Island. Following his residency, he pursued further training at Brown University with a fellowship in orthopedic trauma. He then completed a second fellowship in hand and upper extremity surgery at the University of Chicago. 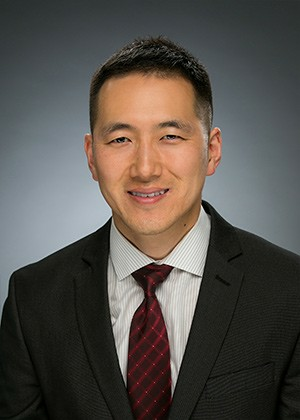 In addition to his clinical training, Dr. Lee’s research interests have led to numerous peer reviewed publications and presentations at national meetings. His research has been presented on topics such as wrist arthroscopy, rotator cuff tears, scaphoid fractures, wrist fractures, patellar dislocations and autoimmune causes of arthritis.